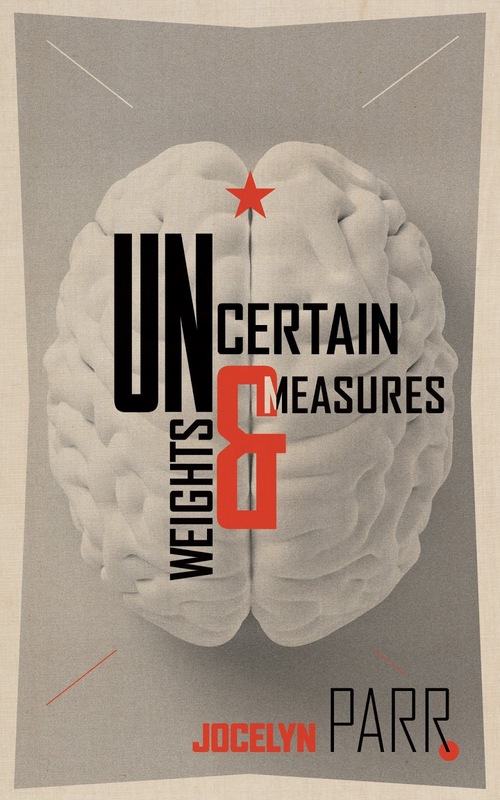 Join us on Thursday, September 21st ay 7:00 pm as Jocelyn Parr launches Uncertain Weights and Measures— a captivating tale of a love torn apart by ideology and high-stakes politics. Jocelyn Parr: JOCELYN PARR was born in New Zealand, but grew up on Canada’s West Coast. Her writing has been published in France, Germany, and Canada and in magazines such as Matrix, Grain, and Brick Magazine. She now lives in Montreal, where she teaches history at Dawson College. Uncertain Weights and Measures: Moscow, 1921. A bookstore without a sign. A store where every book has been stolen or donated and where intellectuals mingle and share ideas. A store where Tatiana, a promising young scientist, and Sasha, an artist, meet by chance the night of a bombing. In the aftermath of the explosion, Sasha grabs Tatiana’s hand and together they run to safety. They fall in love and marry. Tatiana follows her mentor, Dr. Bechterev, to the Institut Mozga, established to study the source of genius by examining the brains of men deemed to have been the artistic, scientific, and political elite, and where Lenin’s brain is the featured specimen. She thrives in the state-sponsored research institute, but Sasha feels left behind in this new world where art seems without place or function. A rift between the couple grows as Sasha becomes increasingly disillusioned. When Bechterev dies under shadowy circumstances, Tatiana is forced to confront her naiveté about the Revolution, her faith in the state, and her relationship with Sasha. Provocative and compelling, Uncertain Weights and Measures takes place in the heady days of post-Revolution Russia, when belief in a higher purpose was everything. Written in beautifully incisive prose, Jocelyn Parr vividly captures the atmosphere of 1920s Moscow and the frisson of real-life events while also spinning a captivating tale of a love torn apart by ideology and high-stakes politics.